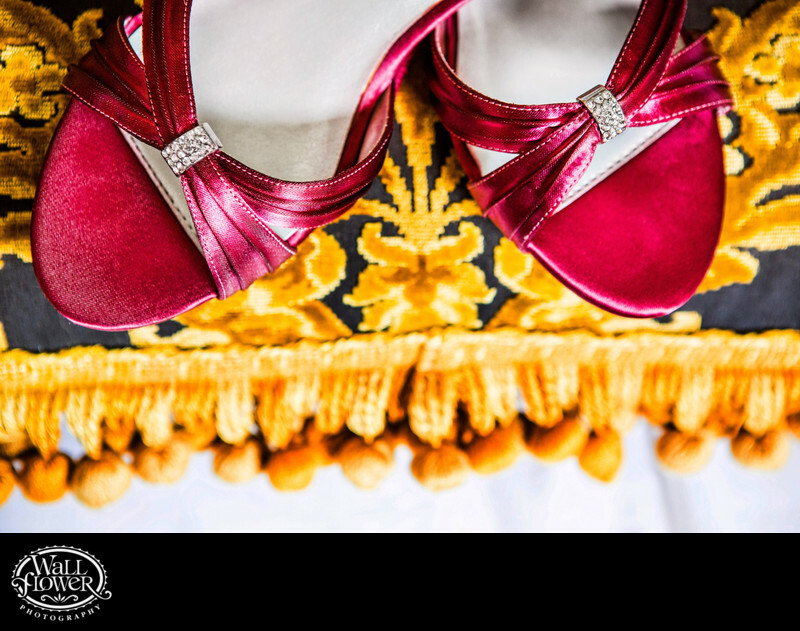 I borrowed a bride's red wedding shoes to capture this detail photo. For a little extra visual interest, I placed them on top of a decorative throw pillow in their room at the Sorrento Hotel in Seattle, where their wedding reception took place. The light source was a bright window.